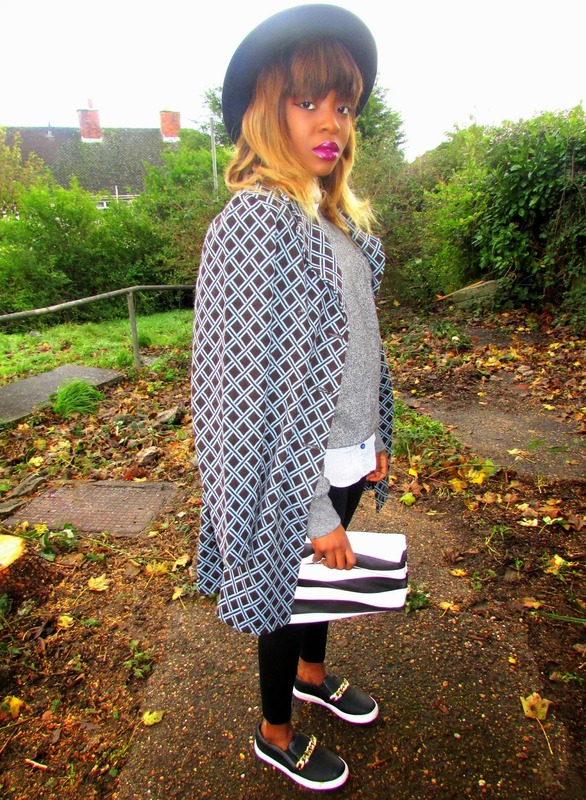 Ebay Flat Top Fedora Hat / Primark Jumper / H&M Shirt / New Look Leggings / River Island Slip Ons / Select Clutch. Don't get me wrong; I'm definitely not Black or Grey's biggest fan but when you are faced with one hell of a lazy Sunday, those are the easiest colours to turn to! Due to working and trying to squeeze in assignments plus revision into what seems like very short days; I've neglected this blog quite a bit. Here is to more consistency and hopefully a short bob with bangs. Yes, I've been contemplating cutting my hair for a while now; mark my words, it will happen. Slip ons have become a favourite of mine this winter, they are easy to wear and no fuss. So as to keep warm, a bit of layering was called for, finishing off with a classic print coat. Now that's out of the way, let me get back to my assignment.